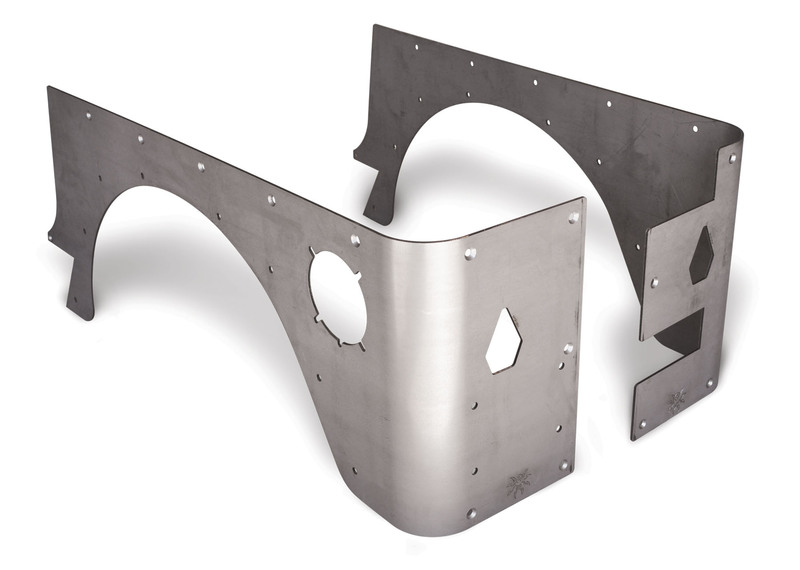 TJ Crusher Corners Stock (Steel) for Jeep Wrangler TJ/LJ 1997-2006. Poison Spyder Crusher Corners are built for the off-road enthusiast who likes to play in the Big rocks! Crusher Corners are a key component in avoiding body damage to your Jeep. Poison Spyder Crusher Corners are CNC laser cut from high strength 3/16 inch plate steel or rugged lightweight 3/16 inch 6061-T6 aluminum. The precisely cut pattern is then careFully roll-formed for a perfect fit to your Jeep body lines.